Are you ready for the solar eclipse on Monday, 8/21? We’ve been planning where we will be and backup locations in case of clouds. 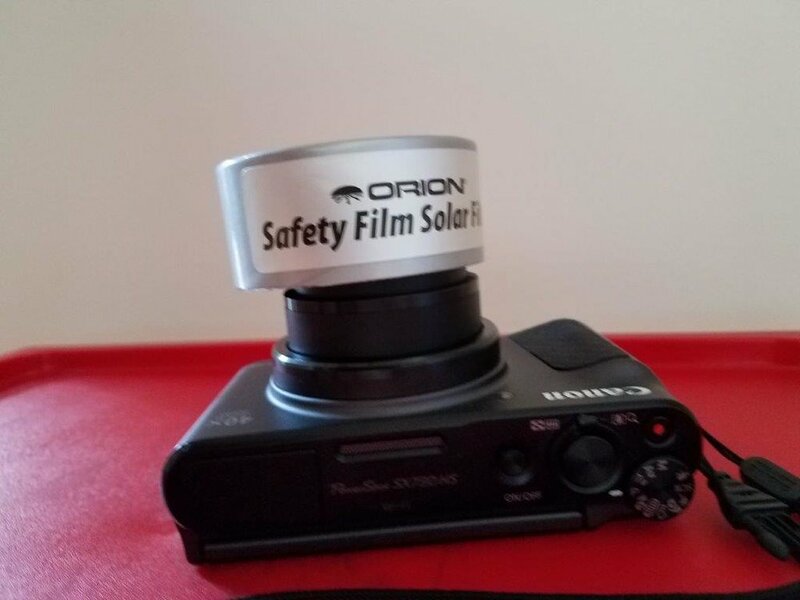 My husband has solar filters for our cameras and glasses for our eyes. He also has an app to prompt us to look for certain features as the eclipse happens. He set up his two-camera rig on his telescope mount and I tried my camera on a regular tripod. The filter for my camera fits over the lens when the camera is turned on. I was somewhat concerned that I might have to do some manual focusing but the camera autofocus algorithm seems to do well enough if the sun is in the center of the image. I took this picture earlier this week (with the filter). Do you see the sunspot (very faint…but there) in the right of the image?